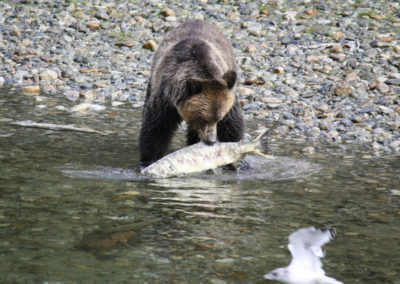 Adventure Quest Tours Canada welcomes you to the Orford River, traditional territory of the Homalco people, spawning grounds of sacred salmon and home to the highest densities of Grizzly Bears in Canada. Cruise in privacy and comfort aboard our covered vessels with onboard washrooms. Small group sizes and personalized service. 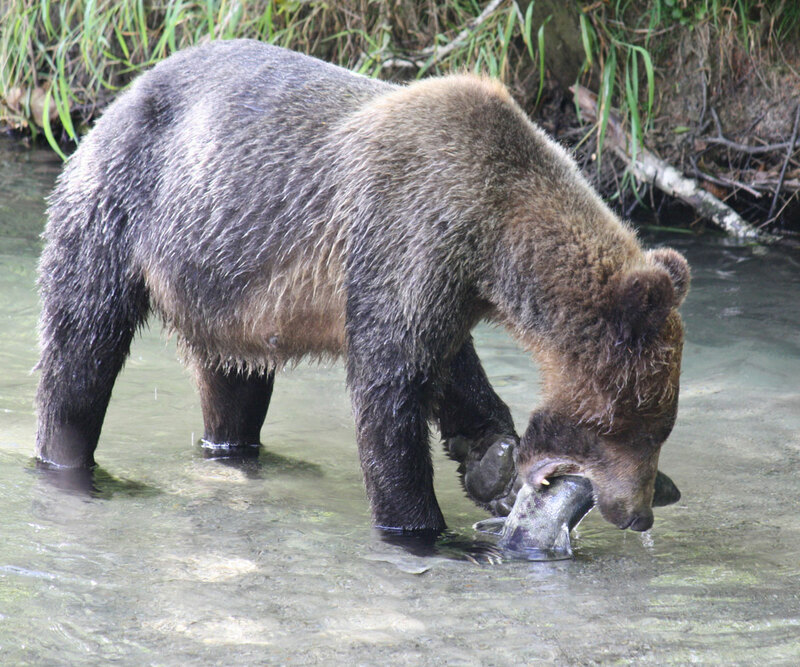 We depart from Campbell River, Vancouver Island, British Columbia, Canada and travel to the Orford River located in Bute Inlet, located on the southern border of the Great Bear Rainforest for our Grizzly Bear Adventure. 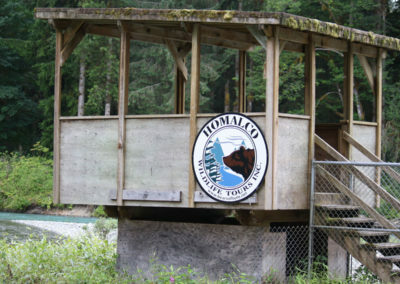 Once at our desitination, Homalco First Nations will then provide us with non-invasive Grizzly Bear Viewing from many different viewing areas and platforms located within the Orford River Basin. Find yourself at the river’s edge and witness this ancient ritual of survival and rebirth. 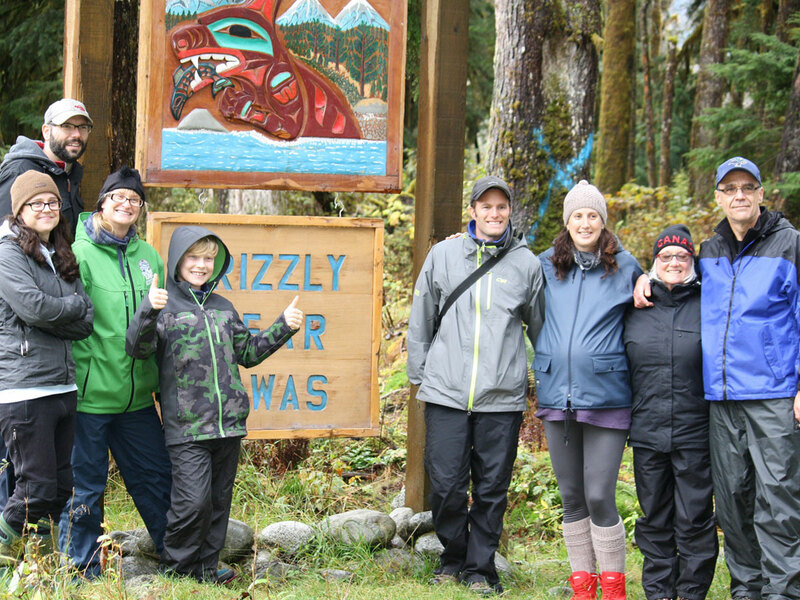 Fall Grizzly Bear Adventure Tours are limited so book early for your ultimate Canadian Adventure. 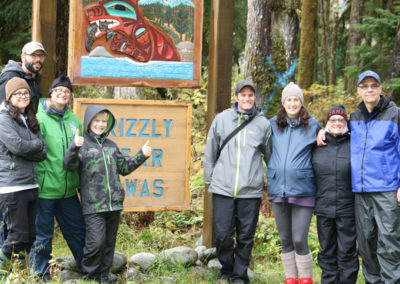 Small group grizzly bear tours, 8-12 guests maximum. 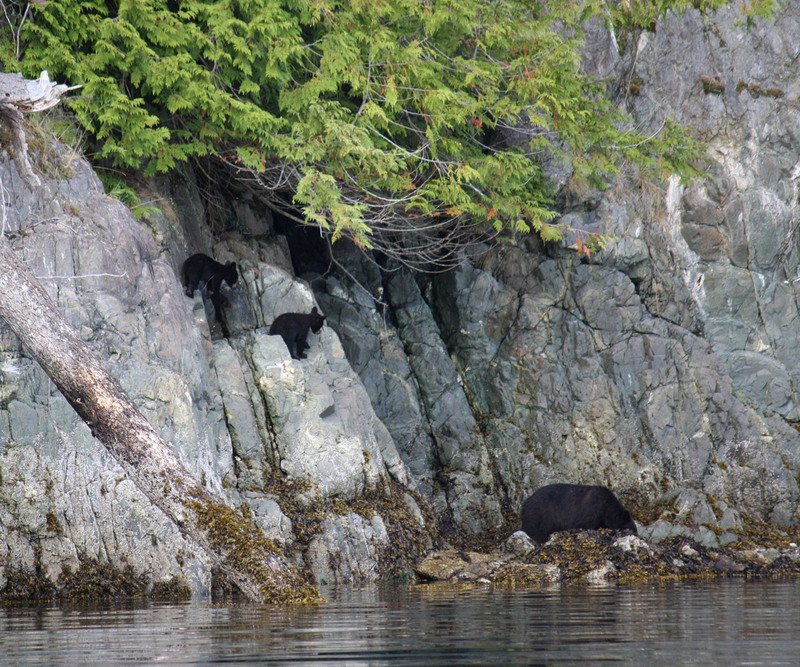 This is a platform based Grizzly Bear adventure tour to see the Bears of Bute Inlet. 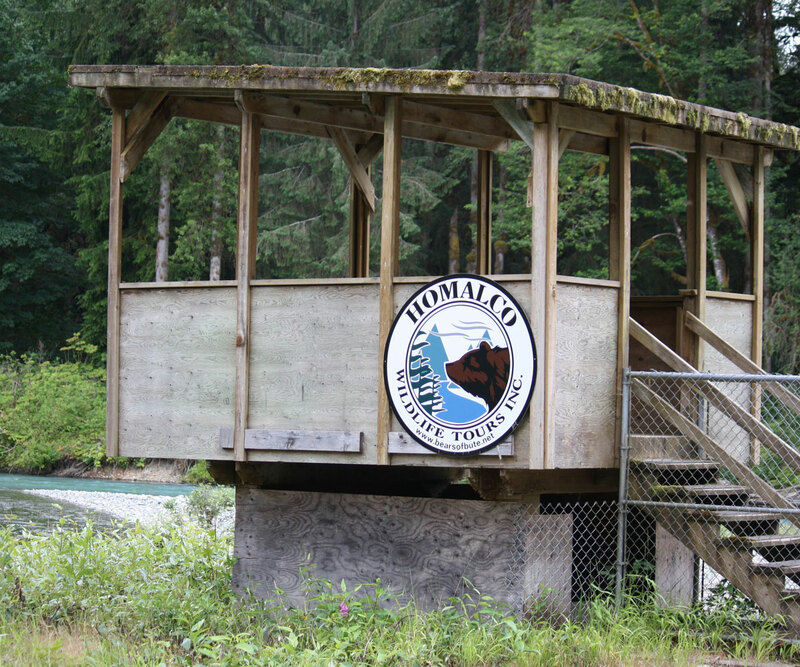 Small Group Sizes – Local Guides – Covered Cabin Cruisers with Onboard Washrooms. 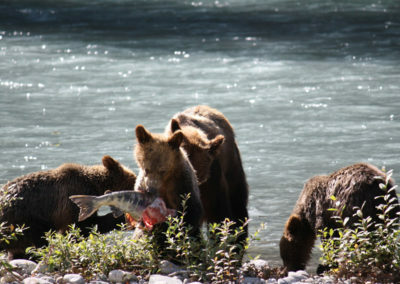 Grizzly Bear Viewing Tours\Grizzly Bear Watching Tours are Full Day 8 Hour Tours. 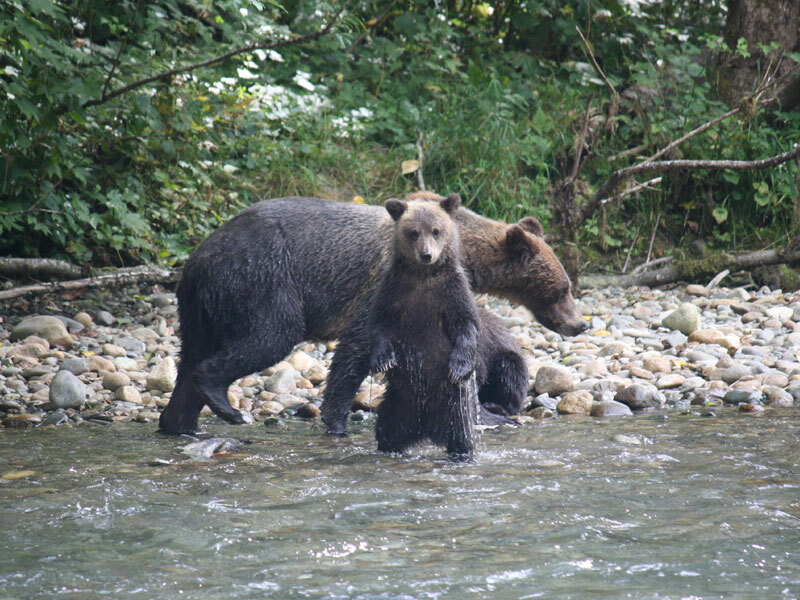 Grizzly Bear Viewing Tours\Grizzly Bear Watching Tours run from August 20th to October 15th 2019. All trips depart/arrive at the Discovery Harbor Marina, Main Walkway, Campbell River, Vancouver Island, BC (British Columbia), Canada. $439/per person. Taxes and fuel surcharge not included. 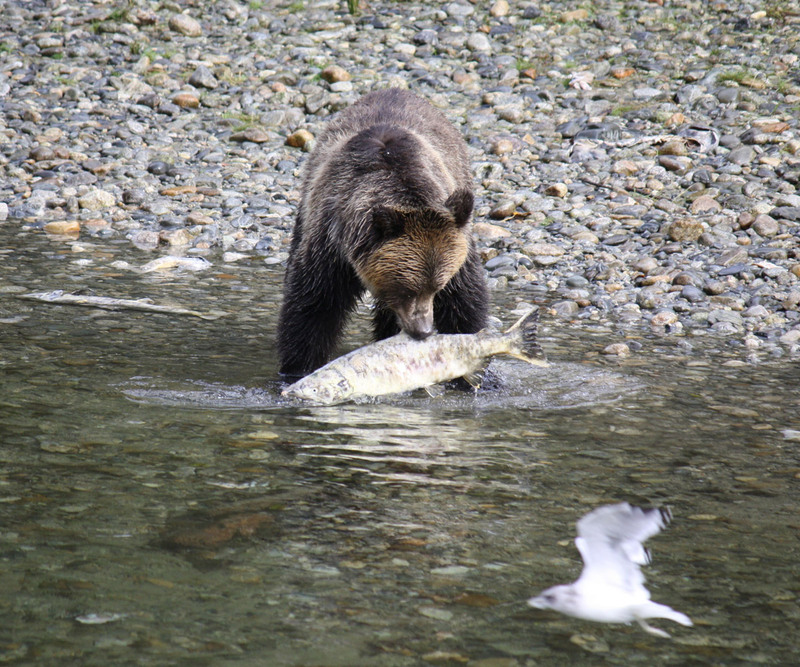 Save $20.00 per person on Prebooked Grizzly Tours between Aug 20th-Aug 25th, 2019, and October 7th-October 15th, 2019 **Some Conditions Apply. Not available during peak season inquire when booking. *No minors under the age of twelve. Taxes not included. Fuel surcharge may apply. All trips include lunch and beverages. Please let our staff know about any allergies or dietary restrictions at least 24 hours in advance. West Coast weather is unpredictable, it is recommended that all guests dress in layers and bring a jacket. 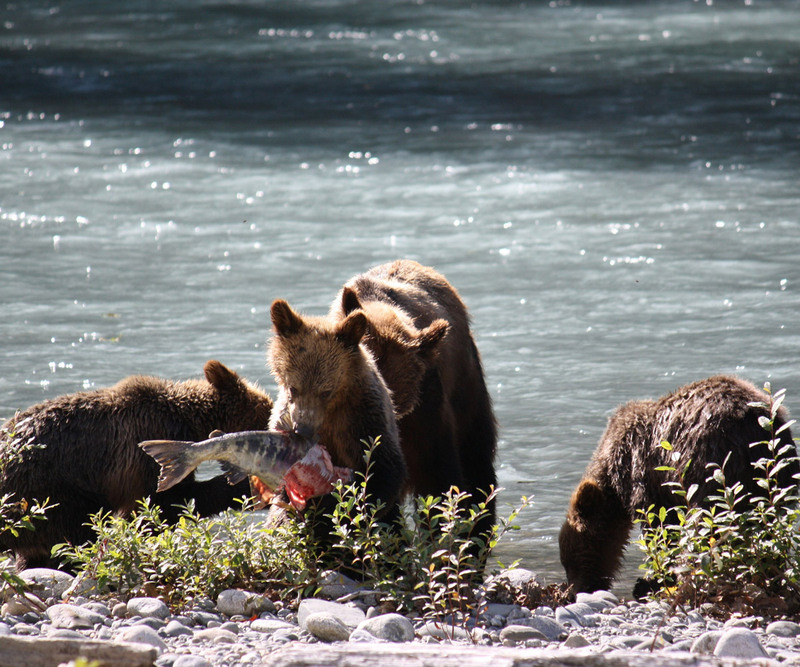 Don’t forget your camera for your ultimate Grizzly Bear Viewing Adventure\ Grizzly Bear Watching Adventure Tours. Q: Are Children Allowed On These Tours? 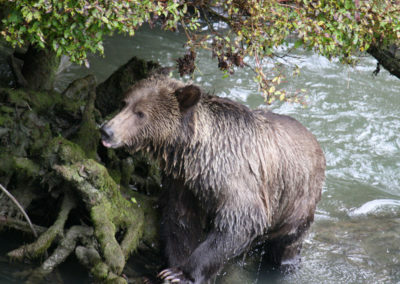 A: For safety reasons, children under 12 are not allowed in the grizzly bear stands. Q: What kind of conditions Should I Expect on the Journey? A: Marine Weather is always unpredictable all guests should be able to tolerate rough wave conditions. These tours are not recommended for anyone with chronic back and neck pain. 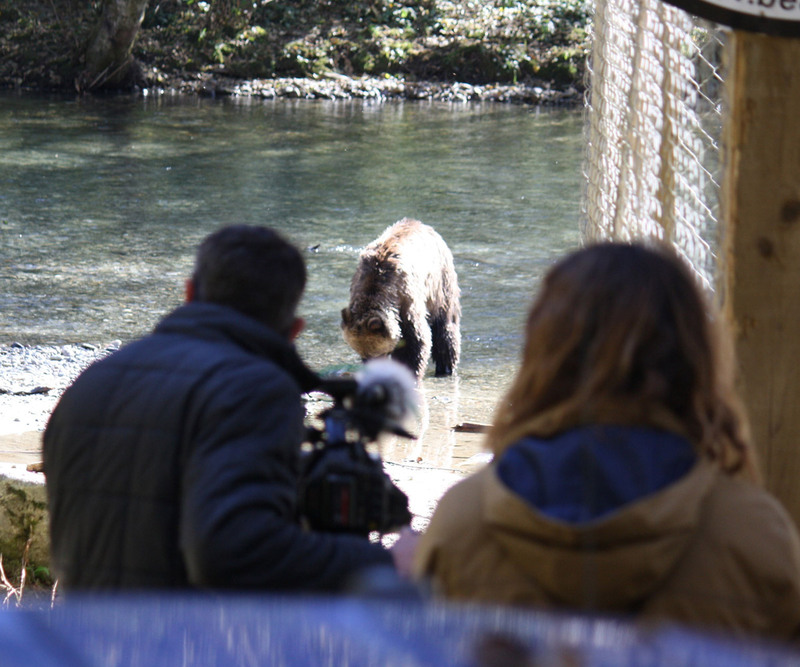 Q: How close do the Grizzly bears actually get? 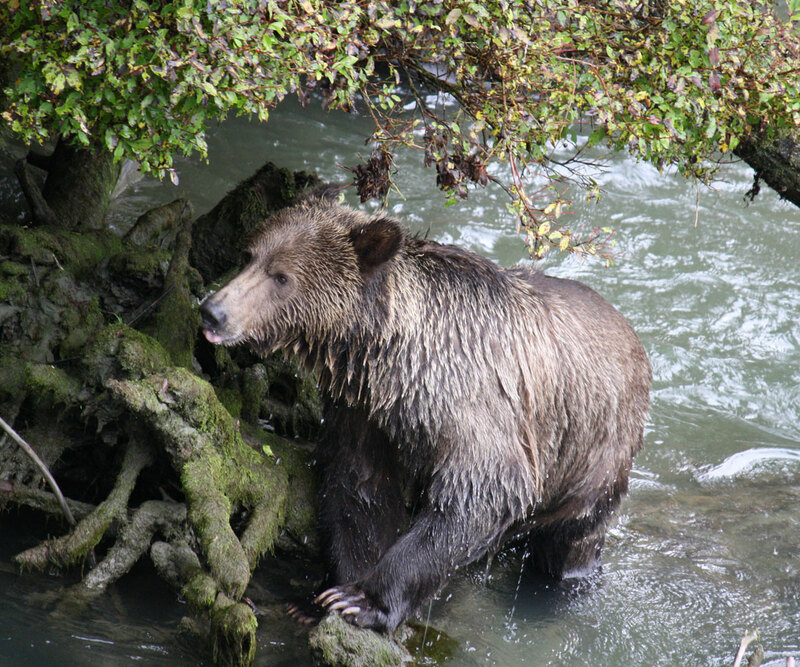 A: On average the Grizzly bears are about 100 meters away. It is also common to have them 15-20 feet from the viewing towers (all very safe of course). 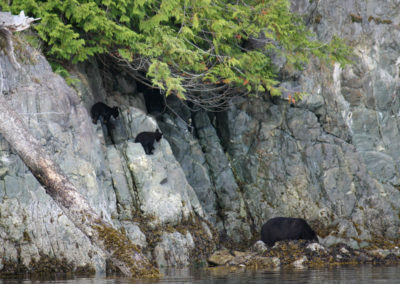 Q: How many bears do you see? 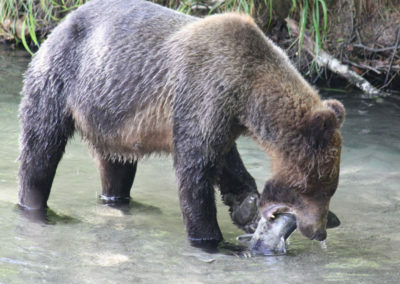 A: Grizzly Bear sightings vary depending on the day. Peak season we have seen anywhere from 5 to 18 bears on a single tour. Q: Can I smoke on this tour? A: No smoking on the vessels or in the towers. Bears are extremely sensitive to smell. You are able to have a smoke at the orientation center before we board the bus to the towers. Q: Should I do anything to prepare for my trip? A: Please make sure that you are not wearing any perfumes or anything else that has an odour as it may prevent the bears from coming near the viewing platforms.